Brainchild of Dafabet Devitt Racing’s Danny Horne, the team’s Kawasaki ZX-10RR Superbike, set to be piloted by the North East rider Dominic Herbertson, will feature a unique and striking livery with their traditional racing colours being replaced by the famous green and white of Celtic FC. “Dafabet have once again shown what can be achieved through an innovative approach to sports partnerships. 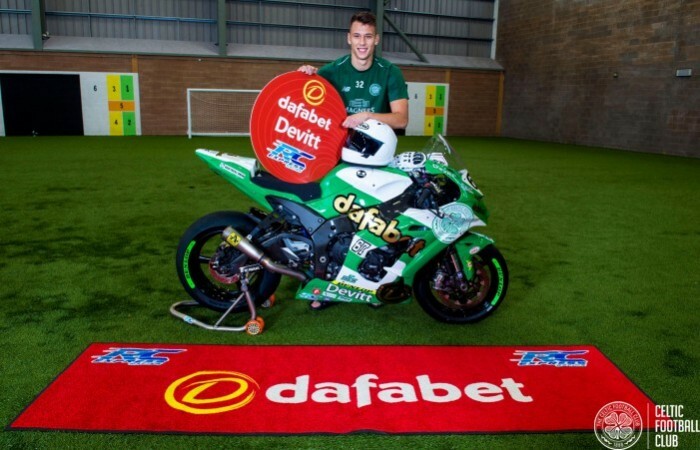 We are delighted that the club crest will have pride of place on the Dafabet Devitt bike and we look forward to supporting Dominic and his crew as they sport the Hoops and Celtic training wear for the remainder of the race season,” said Celtic’s Gordon Kaye.